Welcoming, vibrant and rewarding A classic Speyside single malt matured in a combination of Traditional oak and Sherry oak casks for a minimum of ten years. Nestling in the heart of Speyside is the village of Aberlour where a source of exceptionally pure spring water known as St. Drostan's Well inspired James Fleming to build his distillery in 1897. This richness of the natural environment combined with the soft and pure water creates Aberlour single malt, a distinctive whisky of generous character. Colour: Gold. Nose: The dry, fresh, fruity aromas of early autumn apples and pears are subtly enhanced with sweet notes of vanilla and mint toffee. Palate: Exceptionally smooth and creamy, with spicy-sweet nutmeg and honey combining with the freshness of autumn fruits. Finish: Long, soft and warming. 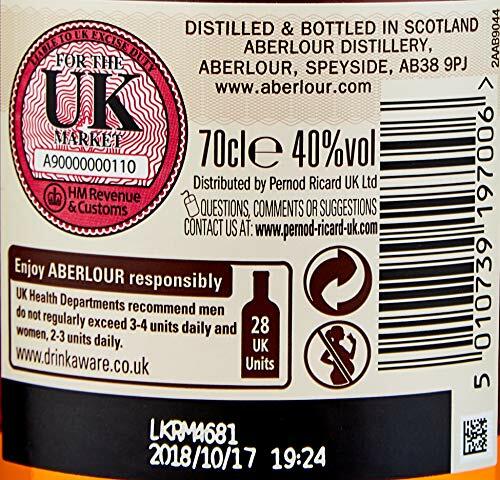 Matured in a combination of hand-selected traditional and sherry oak casks for a minimum of ten years, this expression represents the very essence of Aberlour character. 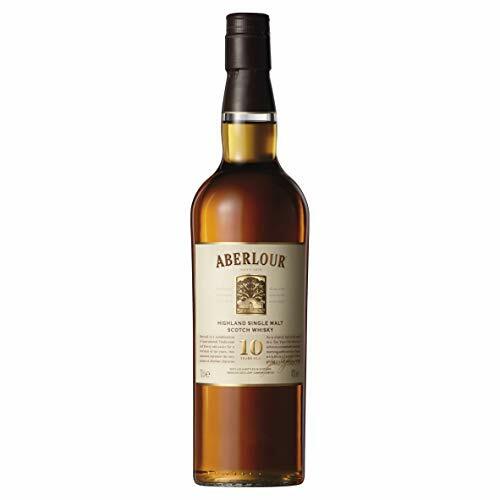 As a classic Speyside malt, this ten year old Aberlour achieves a remarkable harmony marrying subtle aromas of spice with hints of autumn fruits, giving it a soft and long finish. Dry, fresh, fruity aromas of early autumn apples and pears are subtly enhanced with sweet notes of vanilla and mint toffee Exceptional smooth and creamy, with spicy-nutmeg and honey combining with the freshness of autumn fruits. Golden Long, soft and warming.